Boatshed Sud Med had the honour of selling Francesco Cappelletti the boat that he will use to sail around the world in this, the toughest of ocean races. I found the boat listed on www.boatshed.com and was impressed by the amount of information there, it gave me a clear idea of what I was going to look at prior to viewing. I found the broker Kevin to be a fantastic help throughout the process. I am a professional sailor and understood exactly the condition of the vessel and what work would need to be done before I could consider sailing her around the world. Negotiations were tight and Kevin was extremely professional and thorough. Even after the deal was done Kevin still lent his support by way of help with logistics - even using his own car and time to pick things up for me. I would definitely highly recommend Boatshed to anyone considering buying a second-hand boat. 007 is an Endurance 35, a long-keeled blue water cruising yacht. It was designed by Peter Ibold and built by Stratimer. The long keel, heavy displacement, pilot house and flush decks are among the features that make this a yacht capable of this unique challange. Francesco is also restoring 007's original ketch rig affording her a more balanced sail plan and easier to manage, smaller sails. 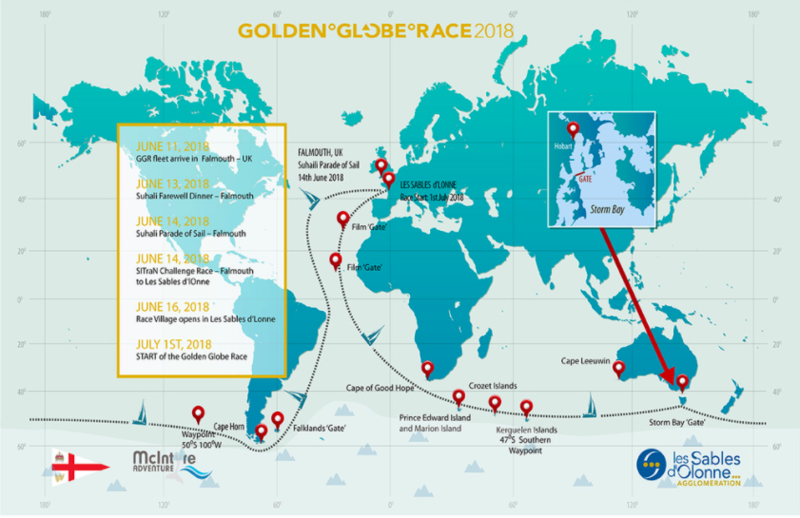 The Golden Globe Race will start in Les Sables-d'Olonne on the 1st of July this year. There is no bigger test for a seaman than a solo navigation around the world around the three Capes: Cape of Good Hope, Cape Leewin and Cape Horn. In 1968 nine contenders accepted this huge challenge in the first Golden Globe Race. The majority retired at some point along the route for a variety of different reasons. Bernard Moitessier decided to keep sailing, circling the globe one and a half times and not stopping to claim his prize, only one sailor came back to win: Sir Robin Knox Johnston. 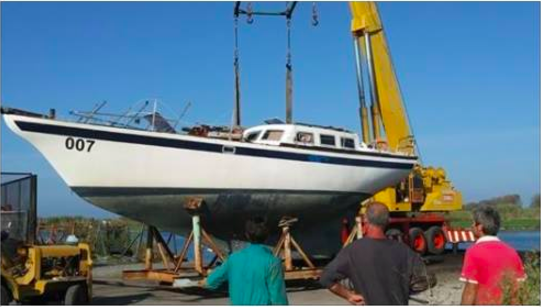 In 2018 the fleet of boats leaving France will be of a similar size (32 to 36ft) and all will have a full-length keel with the rudder attached to its trailing edge, the boats will all be pre-1988. The race rules will be similar to those of the 1968 race; sail around the world through the big Capes, solo and unassisted. Skippers will also sail using the same technology as in 1968: no electronic navigation aids, a wind vane as a self-steering system, a sextant for determining position and communication only via HF Radio. Francesco is an experienced yachtsman, he started weekend sailing then advanced long-distance cruising and finally became a professional skipper. He has always considered his varied sailing experience to be essential training for his ultimate goal of sailing around the world singlehanded. Francesco is currently still fundraising for the race via a crowdfunding page, if you would like to show your support and donate an amount big or small please click here. Boatshed will be following Francesco and 007's progress with regular blogs during the countdown to the race and throughout - a true adventure!